Longboarding is one of the outdoor activities that you will find along the streets. Various groups of young and professionals get together and treat thems like a king of the road. Well, you can’t do anything to stop them, especially if they are just out to enjoy and have fun. That is what they want to do and as long as they do not harm other people, then let them cruise. But, they must not forget that these activities must be done safely. If possible, they must put on their safety gears to avoid hurting themselves. They can always put on a helmet, padding and goggles if possible. When it comes to longboarding, beginners, intermediate and professionals have various techniques and stance to show in downhill, cruising and competitions. They have the American, Euro, Hybrid, Brazilian and the Classic tucks. But, before pushing yourself to show what you’ve got. It will be best to practice and master your skills and abilities to brake, land, slide, carve and pump. Braking is very important when you are longboarding. Expect yourself at a high speed because that is what the best longboards offers. You must learn how to make a quick brake, such as sliding or foot braking. When you are sliding, you have to push the edge of your board out. It will then move sideways instead of going forward. And with this method, the wheels of your longboard are also sliding against the floor or the ground. The friction will slow down the longboard. With the foot braking, you have to drag your foot on the ground. This method may be risky, especially if you are running fast. So, learn the safest way of braking. There are also those who practice land paddling. A pole or stick is used to push the longboard further, to maintain the balance and to make a brake. You must also learn how to control your speed during downhill and that is through carving. If you are making turns, then you can control and maintain your speed. There are longboards that are designed for carving and they are made up of flexible wood. One of the skills that skateboarders also use is called, the Early Grab. This is a skill where you have to grab and lift your board while you are starting a jump movement. Other skills that take practice and expertise is the train that is done by group and drafting, which riders used during a downhill to increase their speed. There are various longboards brands available on the market today. So, how will you choose the right one? If you are confused, then you must not be shamed to ask from your friends or professionals. It will also be a good idea to read some reviews. 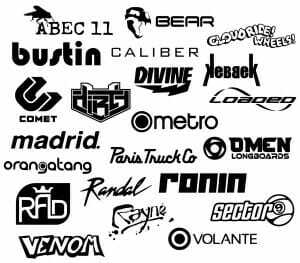 We have here some brands for you to check out. One is the Sector 9 Longboards. They started producing longboards in 1993 and since then, they have become known in the world. The secret in staying on top among all other longboards brands and manufacturers is the continuous improvement on their product. They have their new models, such as the Budro at 35 and 38 inches and the Rocker. These cool and great longboards offers a comfortable, stable, strong and flexible features. So, you better check out their models. Another manufacturer is the Loaded. This manufacturer would love to give the longboard riders a different level of experience. They offer longboards with maximum quality. These longboards may be expensive and luxurious, but it is surely worth it. You might want to check out some of their models, such as the ergonomic board, called the Bhangra that is ideal for freeriding or dancing, and their other model that is called, Khantaka that offers a sturdy and speedy features. All longboards brands are always after improvements, changes and innovation. They all wanted to offer a more advanced feature. Whatever a longboard rider want must be provided. Those are just some of the things that manufacturers need to maintain, so that they can stay on the top, be famous and popular among longboard riders. So, if you have doubts about longboards brands to buy, then do not fail to read reviews and know what you want to have.